Peter Krapplund Krappinger are a big fan of the german band Alphaville and the song A Victory Of Love. Here you find everything around the song and you can listen to different recordings. 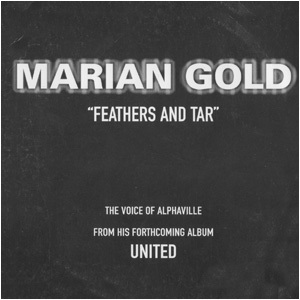 A huge collection of Alphaville / Marian Gold / Lonely Boys / Atlantic Popes stuff, from 7" vinyl to CD�s and DVD�s. And a list with all live concerts that he have seen around the world. This site are dedicate to the Alphaville song "A Victory Of Love" from 1984. Here you find everything that you want to know about and around the song. If you have some information around the song that you think should be on this site, don�t hesitate to contact me with a mail. I have added some new live clips under the section live and television versions. And have added a new translation in czech under the section lyrics. I have added some new live clips right here from 1997 and 2011. 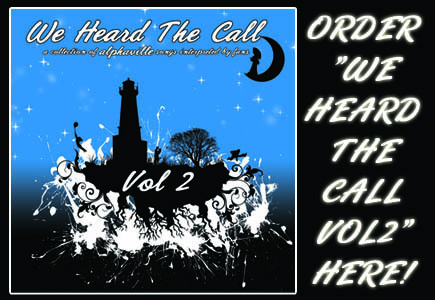 I have added a new cover version right here made by People Theatre from France. Have added a clip from Czech Television 2 that you can look at and enjoy right here. Have added a new part of the homepage, called "Barrowed Lyrics" where you can listen to a band that barrowed some lyrics from the song A Victory Of Love. Thanks for the info Jonny!! Listen and read around this right here. Have added a interview with Johan from Strauss EX Machine. He talks about his music creation and of course around the cover of A Victory Of Love that was released in december 2009. Now you can listen to a live version of A Victory Of Love from the 25th Anniversity Party in Prague / Czech Republic right here. And also did add a new cover version right here made by Strauss EX Machine. Have also updated some other pages on the site, among others this one. If your are Mace and made a cover version of A Victory Of Love some years ago, please contact me when you read this. THANKS! !